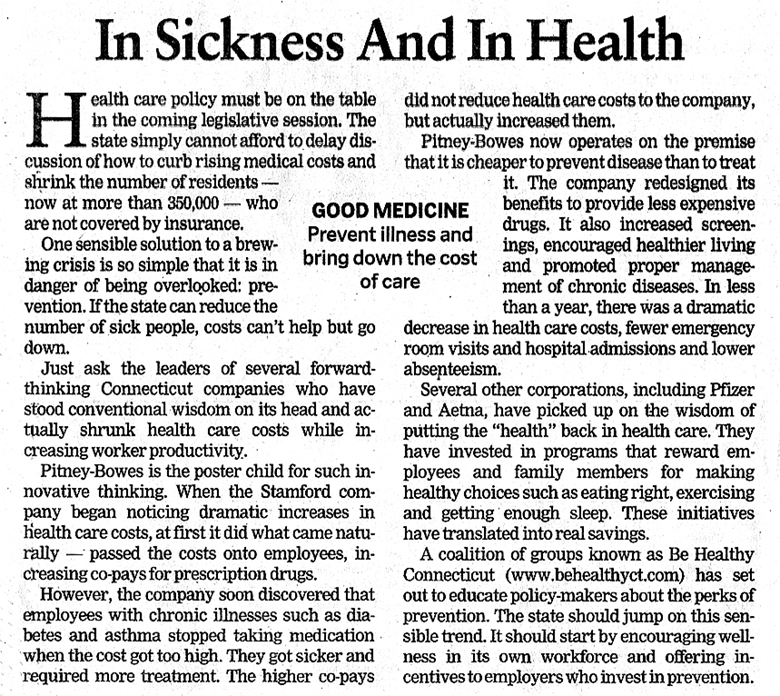 Pfizer sought to promote the value of prevention to the State's healthcare system. 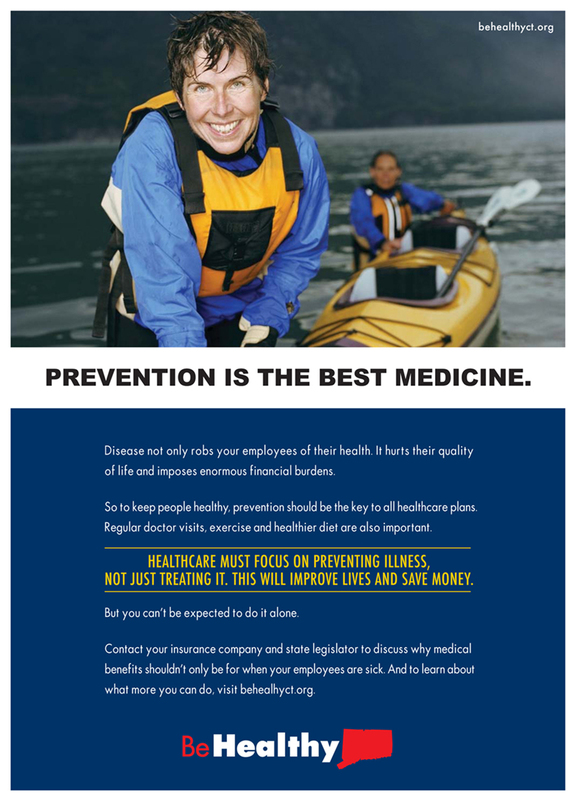 Rather than merely creating a Pfizer-funded campaign of pro-prevention messages, we built a coalition of like-minded groups around Pfizer and urged government leaders to adopt new prevention policies. 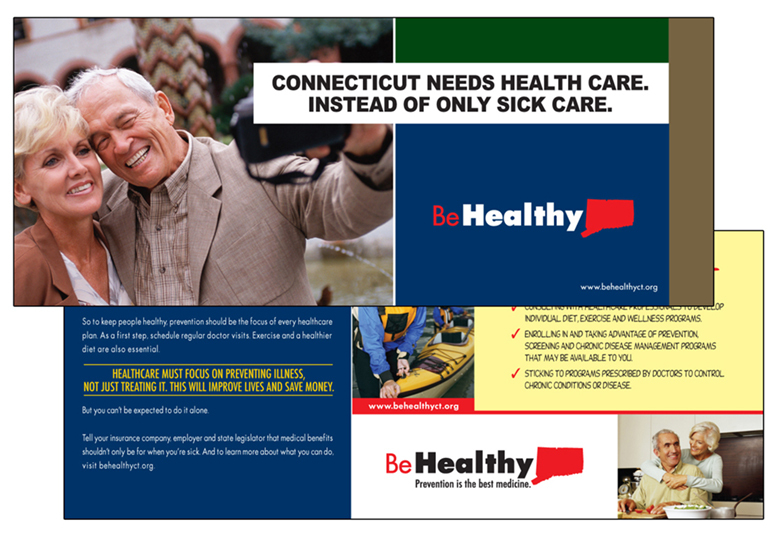 The coalition, named “Be Healthy CT,” was aggressively promoted and rapidly grew to more than a dozen members. Ultimately, the Speaker of the House, Senate President, Comptroller and Public Health Committee Chairman all endorsed the Be Healthy CT agenda and actively pushed prevention-based healthcare reforms. The legislature’s Public Health Committee held a hearing on the need for more prevention programming. And members of the coalition formed a working group of State government and union leaders to explore using State employees as a model for how prevention can improve health and lower costs.